As the area’s premier retirement community, Woodlawn Commons provides seniors with plenty of peaceful privacy and unlimited opportunities for social activity. 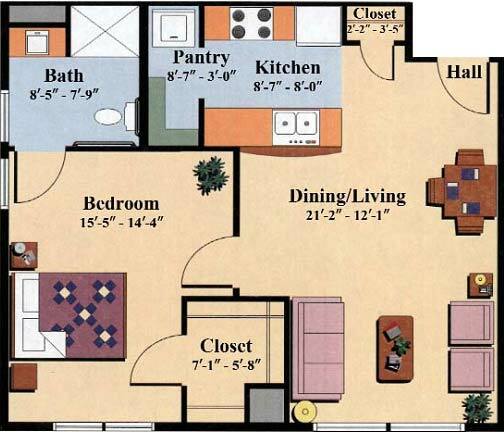 All of our 60 independent senior living apartments in Saratoga Springs feature spacious dining room/living room combinations, full kitchens, large bedrooms and generous closet space. 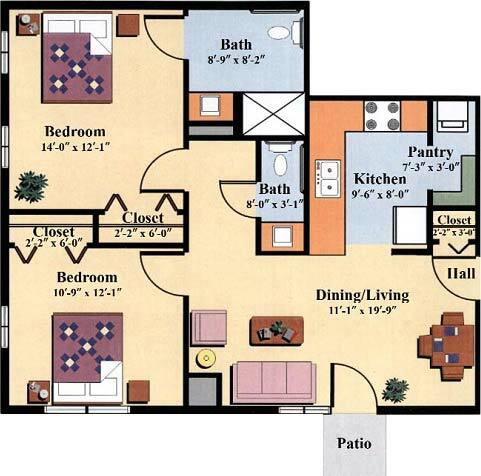 Select apartments also include a private outdoor patio. 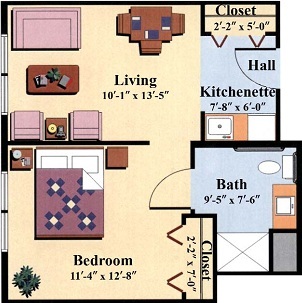 For additional security and support, the 40 private assisted living apartments at Woodlawn Commons provide residents with freshly prepared meals, personal care, medication management, around-the-clock staffing, an emergency alert system and more. 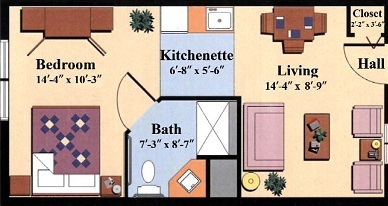 Choose from a variety of attractive floors plans and layouts, including one bedrooms with one full bath, and two-bedrooms with a bath and a half, or two full baths. 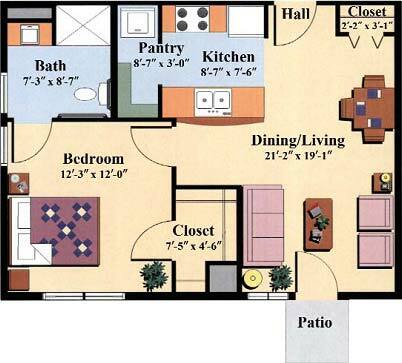 To schedule a tour of our Saratoga senior living apartments, contact us or call (518) 691-1560. Note: Some units may be reversed. 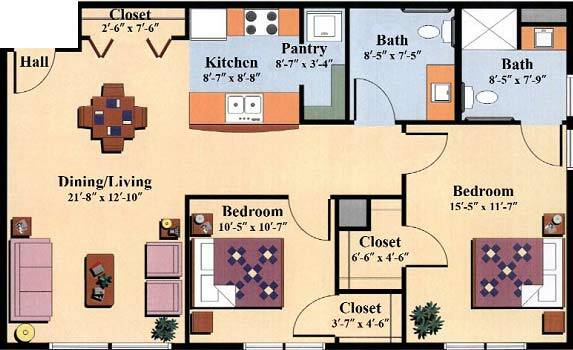 Furniture shown is for reference purposes only. 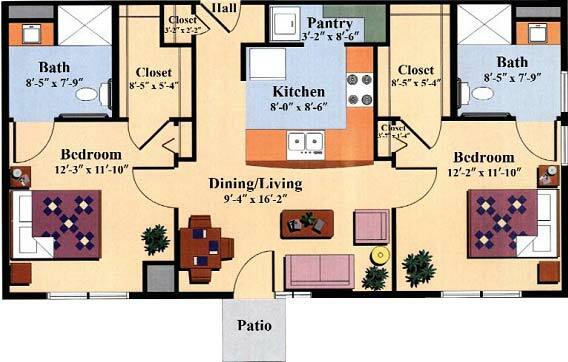 All 1 and 2 bedroom senior apartments are unfurnished.